A while ago, I came across a quote that stuck with me. It read, “A quiet mind is able to hear intuition over fear.” I stumbled onto this quote at a time when my mind was racing with thoughts of daily life. People were tugging at me from various directions. Internally, I was putting pressure on myself to achieve and give of myself more and more. In moments like this, it’s hard to tell which emotions are real and worthy of paying attention to, or which ones are based in fear, anxiety or self-doubt. When anxiety creeps in, I begin to make decisions driven by my need to run from something rather than toward that which genuinely fulfills me. Reaching this point happens slowly and without notice. We’re constantly reminded that we should be striving to become more and be better. After all, we’re told, there in lies the key to happiness. We lose ourselves in material pursuits and competing to reach the top – taking little time to know whether we’re doing what’s right for the project, the company, our life goals or true happiness. I’ve learned to recognize the point at which I must stop and quiet my mind so I can create my best life. It’s when I feel an uncontrollable need to over-function or to withdraw and isolate myself. At first, when I chose to withdraw, I believed I was being anti-social. I beat myself up for refusing to keep pushing myself harder. 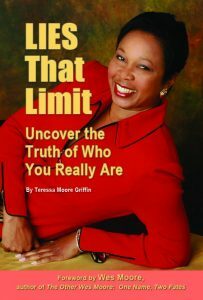 But as I studied my craft – which is helping others live their best lives – I learned that withdrawing was my unconscious way of quieting my mind. It wasn’t a personality flaw. It was a necessary reset – like rest periods between challenging exercises. 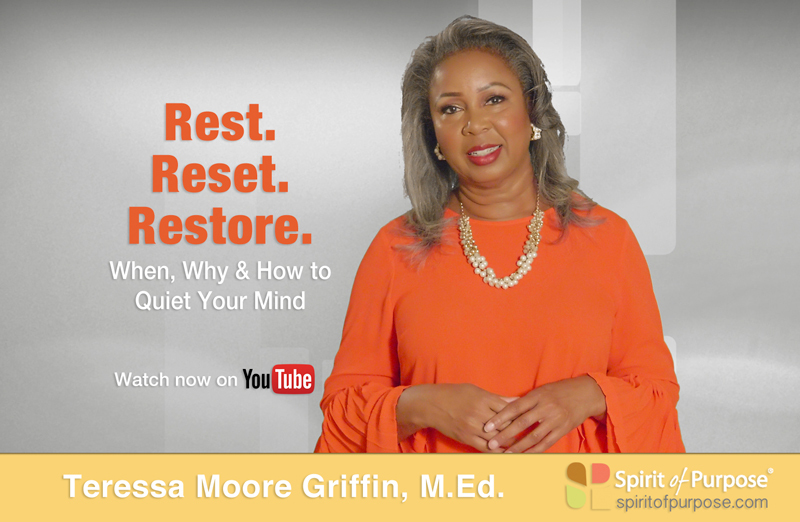 Do you recognize the ways your body calls on you to reset? Do you get snippy or feel irritable? Do you become exhausted — mentally and emotionally? Do you rob yourself of the appropriate time to consider your options — making snap decisions that ignore the greater good? Do you find it difficult to get off the couch? Do you reach for something that will help you escape? It’s different for everyone. It’s important to recognize your unique reset triggers. Once you understand what’s happening, you’ll be able to maximize the downtime. Put down the remote and sit quietly with a cup of tea and enjoy watching your children play. Take a walk and block everything out except the sounds of nature. If social encounters help you restore, call or visit a beloved friend or family member. My work as a Core Energetics Therapist has taught me that emotions live in our bodies and muscles. If they’re allowed to fester, serious health issues can manifest. Give yourself this needed break to reduce the negative physical affects of feeling overloaded and overwhelmed. Tap into your sound intuition by listening to your body, your mind and your emotions. They’ll let you know when it’s time to restore and reset.